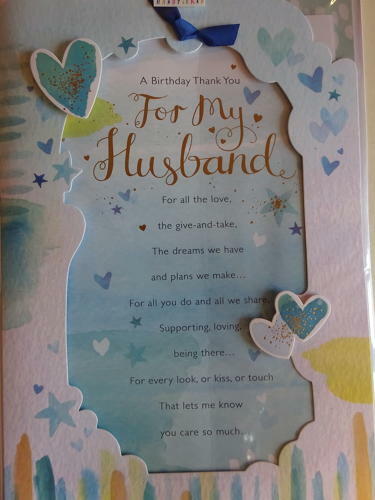 A very special card from the handpicked range. The message continues inside with "For moments when you've made me smile with your unique and special style.... For memories that mean most to me and good time that are yet to be..... For countless little things you've done that make me see you're still "the one"... For all the care you always show.... I love you more that you could know. Happy Birthday".